Nothing says, "Lee Young Ho, who the hell is he? Power struggle? What power struggle?" 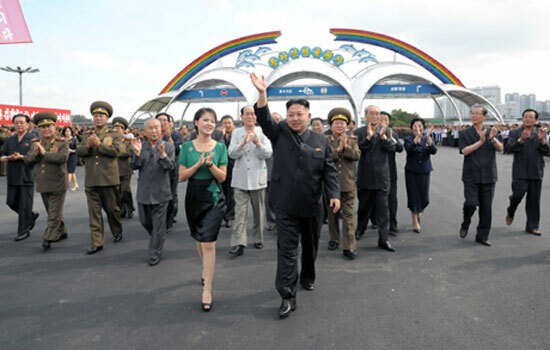 like an image of Kim Jong Eun and his wife strolling out in front of a literal who's who of regime heavyweights. Just look! There's Choi Yong Rim, Kim Young Nam, Choi Tae Bok, Kim Kyung Hee, Jang Sung Taek, Choi Ryong Hae and more. Quote: "The gang's all here! So stop talking about coups, would you. No chance." 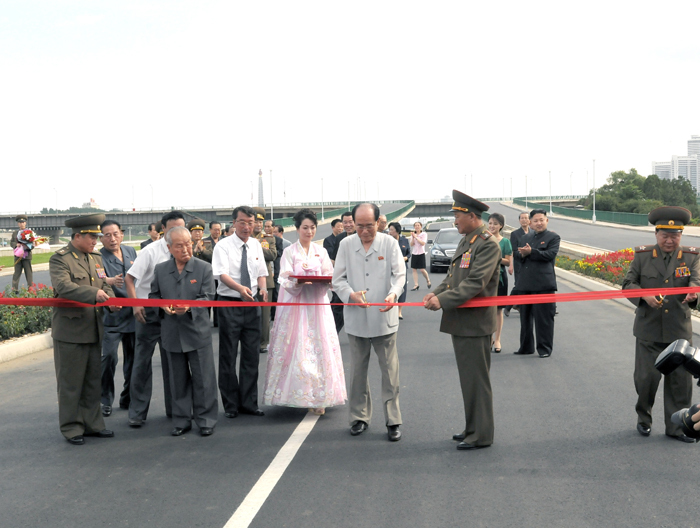 But then, does anything say "This is a Party-centered system and don't you forget it" like standing in shot clapping calmly as Supreme People's Assembly Presidium Permanent Chairperson Kim Young Nam and Cabinet Prime Minister Choi Yong Rim, the two top civilian administrators in the regime, cut the ribbon on a new resort built off the backs of military labor? No sir, nothing. Quote: "Yoo hoo, we might be moving toward reforrrrrrmmmmmmmmm... Can we have some aid, please?"